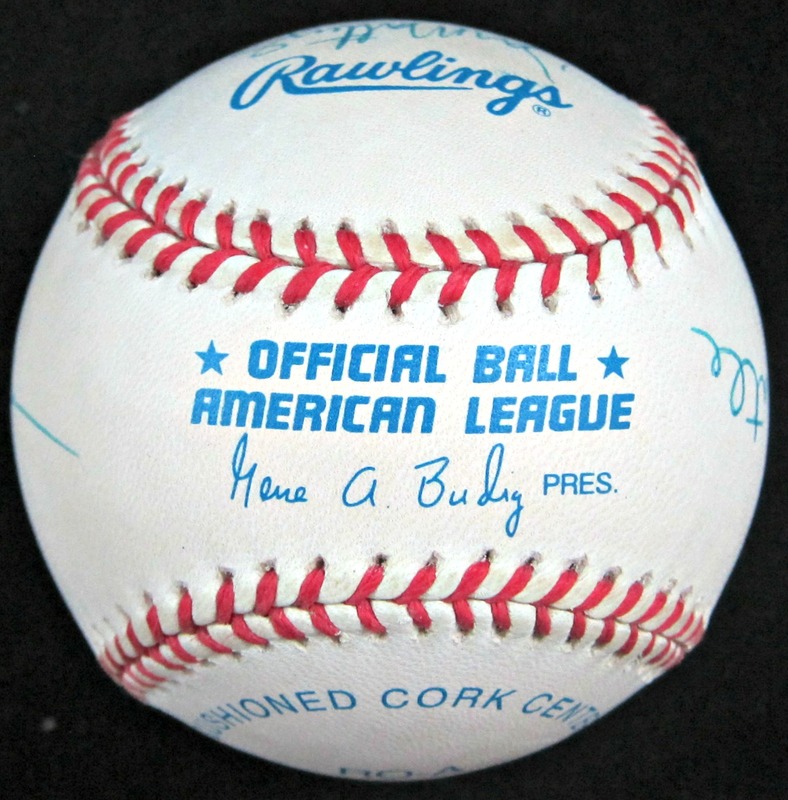 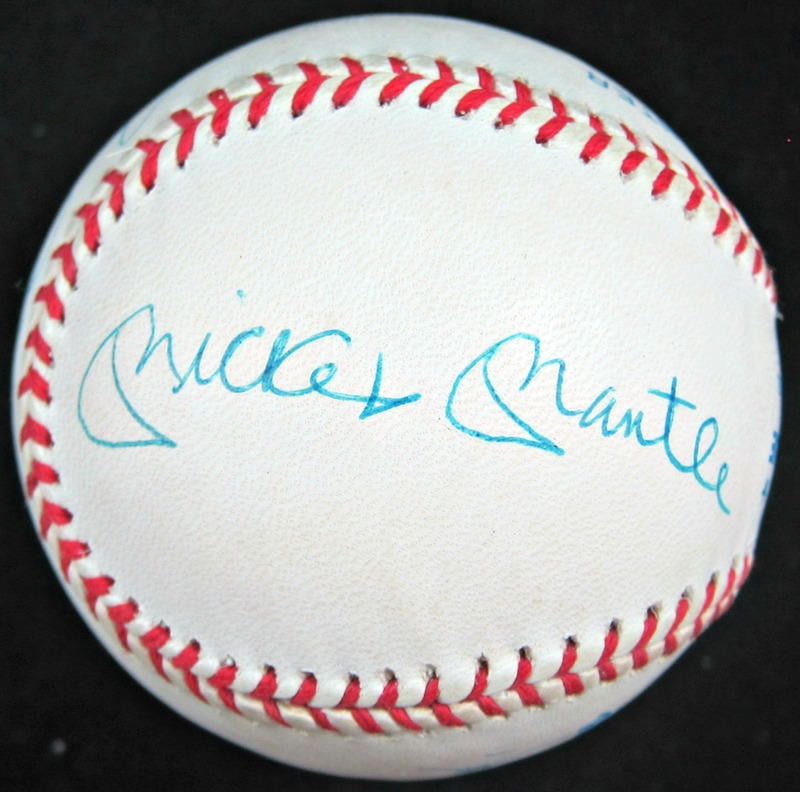 Offered is a beautiful Official American League Rawlings autographed baseball signed by four NY Yankee legends: Joe DiMaggio, Mickey Mantle, Reggie Jackson, and Don Mattingly. 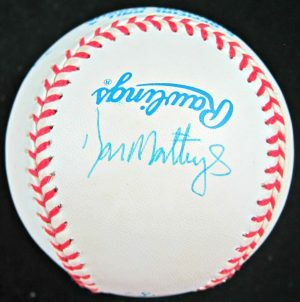 All signatures are bold and signed in blue ink. 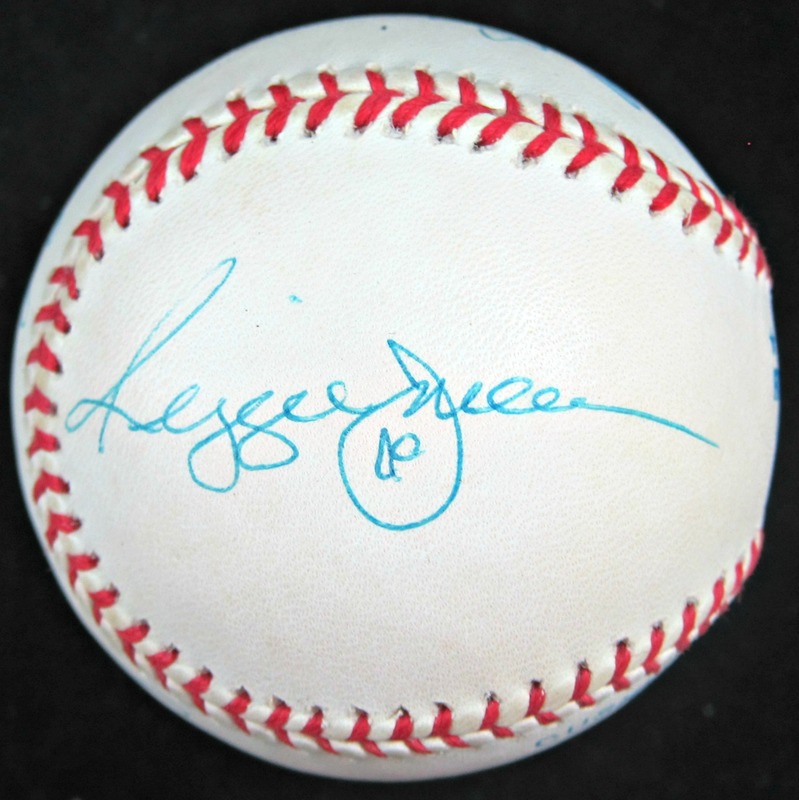 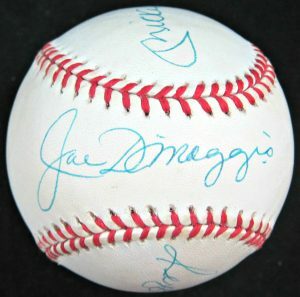 The autographs are authenticated by Joe DiMaggio Estate.